The Royal London Hospital was founded in September 1740 and was originally named The London Infirmary. The name changed to The London Hospital in 1748 and then to The Royal London Hospital on its 250th anniversary in 1990. The first patients were treated at a house in Featherstone Street, Moorfields in November 1740. In May 1741, the hospital moved to Prescot Street, and remained there until 1757 when it moved to its current location on the south side of Whitechapel Road, Whitechapel, in the London Borough of Tower Hamlets. The Royal London is part of Barts Health NHS Trust. The Royal London provides district general hospital services for the City and Tower Hamlets and specialist tertiary care services for patients from across London and elsewhere. The London Hospital Medical College, the first in England and Wales, was founded in 1785. It amalgamated in 1995 with St Bartholomews Hospital Medical College, under the aegis of Queen Mary and Westfield College, now known as Queen Mary, University of London, to become St Bartholomews and The Royal London School of Medicine and Dentistry (name changed to Barts and The London School of Medicine and Dentistry in 2007). The present School of Nursing and Midwifery was formed in 1994 by the merger of the Schools from St Bartholomew's Hospital and The Royal London Hospital to become the St Bartholomew School of Nursing & Midwifery. Prior to this, the school of nursing was known as The Princess Alexandra College of Nursing and Midwifery. In 1995 the new Nursing School was incorporated into City University, London. 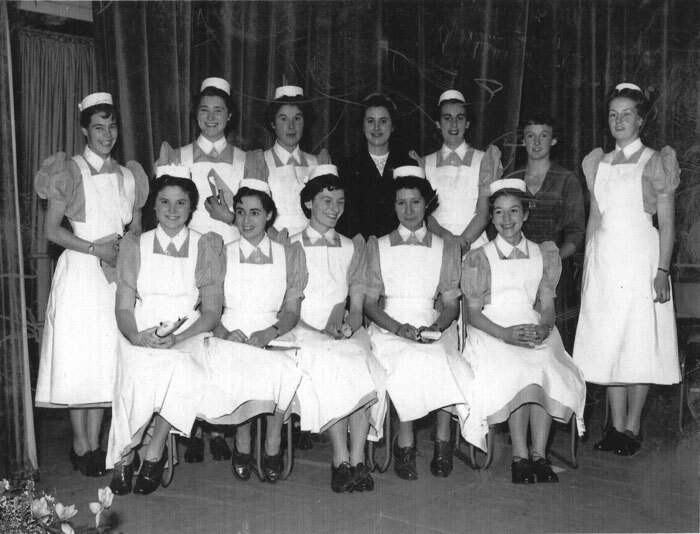 Both Schools have a strong and respected history dating back over 120 years and have produced many nurse leaders and educators. The School has since been incorporated into the School of Health Sciences, City University. The London Infirmary, as it was originally called, was established in the Autumn of 1740 and received its first patients on 3rd November, in a rented house in Featherstone Street. In the following May the Hospital moved to rented premises in Prescot Street. It was soon apparent, however, that converted houses were not adequate and the search began for a site on which a new building could be erected. In 1752 the foundation stone of the present building was laid. The first patients were admitted in 1757 and the building of the front block was completed in 1759. There have been many subsequent alterations, developments and extensions, but parts of the original building are still in use. In 1755 and 1772 the Governors of the Hospital were able to purchase the two moieties, or halves, of Red Lyon Farm, which lay immediately behind the Hospital, between Whitechapel Road and Commercial Road. Many of the Hospital's departments are built on parts of the former London Hospital Estate. Management of the Charity was originally in the hands of all the subscribers but, as they increased in numbers, this became impracticable. As early as April 1741 a Grand Committee was appointed to meet weekly, to transact the general business of the Hospital; this Committee developed into the House Committee, which exercised effective control, until its abolition in 1948. The subscriber's meetings became the Court of Governors, which normally met quarterly, and to which the House Committee reported. In 1758 the Hospital was granted a Royal Charter, which gave the Governors corporate status. Executive authority was at first split between several officers: the Secretary, the Steward, the Apothecary and the Chaplain; all exercised varying degrees of authority at different times. In 1806 a Superintendent was appointed and thereafter this officer, later called the House Governor, was the principal Executive Officer. The original object of the Hospital was the "The relief of all sick and diseased persons and, in particular, manufacturers, seamen in the merchant service and their wives and children". 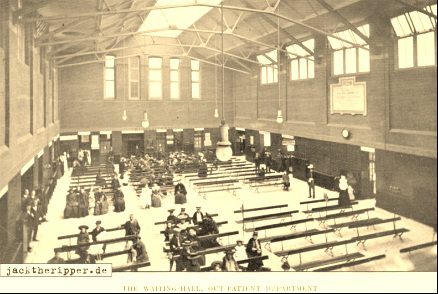 The London Hospital has always been a general one and, by the end of the nineteenth century, was the largest voluntary, general Hospital in the United Kingdom. In the early years of this century the number of beds passed 1,000 on several occasions. From the 1740's pupils had been taken on by members of the medical staff to "Walk the wards". In 1783 William Blizard and Dr. James Maddocks sought the Governors' support for the erection of a Lecture Theatre, so that both practical and theoretical education could be received on the same site. As a result a Lecture Theatre, which later developed into the Medical College, was opened in 1785. Until 1854 it remained largely independent of the Hospital but, from then until 1948, the Hospital House Committee exercised ultimate authority over the College. For many years the London Hospital had a number of Annexes and Convalescent Homes associated with it. At various times the Hospital managed the Zachary Merton Home, Banstead; the Brentwood Annexe; the Herman de Stern Home, Felixstowe; the Catherine Gladstone Home, Mitcham; the Croft and Fairfield Annexes in Reigate and the Hore and Marie Celeste Homes in Woodford. There was also Hayes Grove, a Home for Sick Nurses. From 1945 until 1972 Queen Mary's Maternity Home, Hampstead, was managed by the Hospital. Its records are in the Royal London Hospital Archives, but are listed separately. 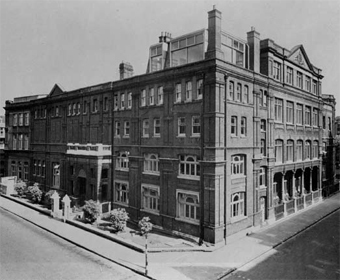 In 1968 Mile End and St. Clement's Hospitals were transferred to the management of the Board of Governors and were designated to the London Hospital (Mile End) and the London Hospital (St. Clement's). Some records of both these Hospitals are in the Royal London Hospital Archives, but are listed separately. The "Marie Celeste" Samaritan Society was founded in 1791 to provide for London Hospital patients various welfare benefits, such as artificial limbs, periods of convalescence or special diets, which were beyond the resources of the Hospital.